Epicatechin At It's Finest! Muscle Building Agent! Massive Pumps! Undeterred by the setback, Olympus Labs devoted extensive time and expense to develop a delivery system to resolve the bioavailability issue. That effort produced PhytoFUSE, an enhanced delivery system that research had shown could enhance the potency of Epicatechin anywhere from 200 to 600%. The next chapter of epicatechin commenced with EP1C UNLEASHED which users responded much better to and it subsequently grew in popularity. At the end of a story, however, there is an epilogue, which may further explain and in some cases provide a preview of a sequel. 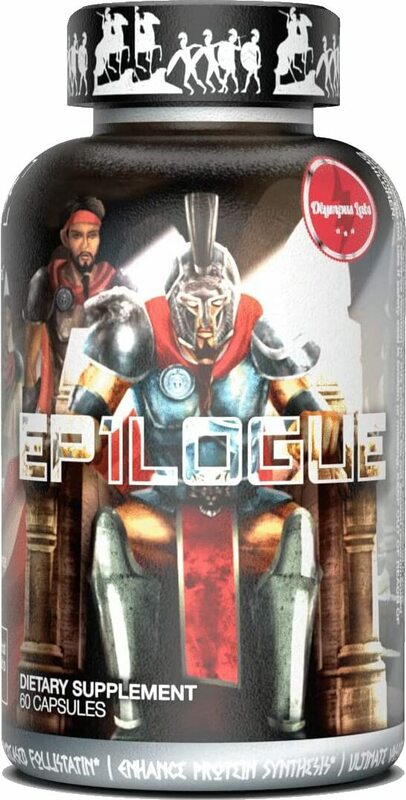 The anchor ingredient in EP1LOGUE is Epicatechin PhytoFUSETM.at a substantial dose of 600mg, a never before seen dose in ANY Epicatechin product. What separates EP1LOGUE from other Epicatechin products on the market, however, is the complementary ingredients that give the Epicatechin PhytoFUSE a turbo boost. That boost is accomplished with the addition of an ingredient we brought to the market in RE1GN, VASO-6, at 300mg. VASO-6 is an innovative ingredient which we dubbed “Super Epicatechin”. It was first studied and funded through the University of South Florida and it significantly increases vasodilation (it stimulates nitric oxide levels at levels 10 times greater than Citrulline), stimulates blood flow, and activates muscle hypertrophy. The formula is then perfected with a new and innovative compound that, once again, Olympus Labs introduces to the supplement industry called Urolithin B. Urolithin B is an innovative ingredient with research showing that it can inhibit protein catabolism while simultaneously increase protein synthesis. Urolithin B is essentially a bodybuilder’s dream; a natural ingredient that helps to build lean muscle while preventing muscle breakdown. Urolithin B is more active at the androgen receptor than testosterone, and more effective than insulin when it comes to upregulating muscle protein synthesis. We included Urolithin B in EP1LOGUE at a significant dose of 150mg to serve as the perfect complement to epicatechin and VASO-6. It is time to make it RE1GN with an innovative and multi-faceted supplement that goes beyond muscle building to enhance blood flow, endurance and body composition. It starts with the trifecta of Epicatechin PhytoFUSETM, VASO-6, and Urolithin B; a new chapter begins where men become K1NGS, it begins with EP1LOGUE.